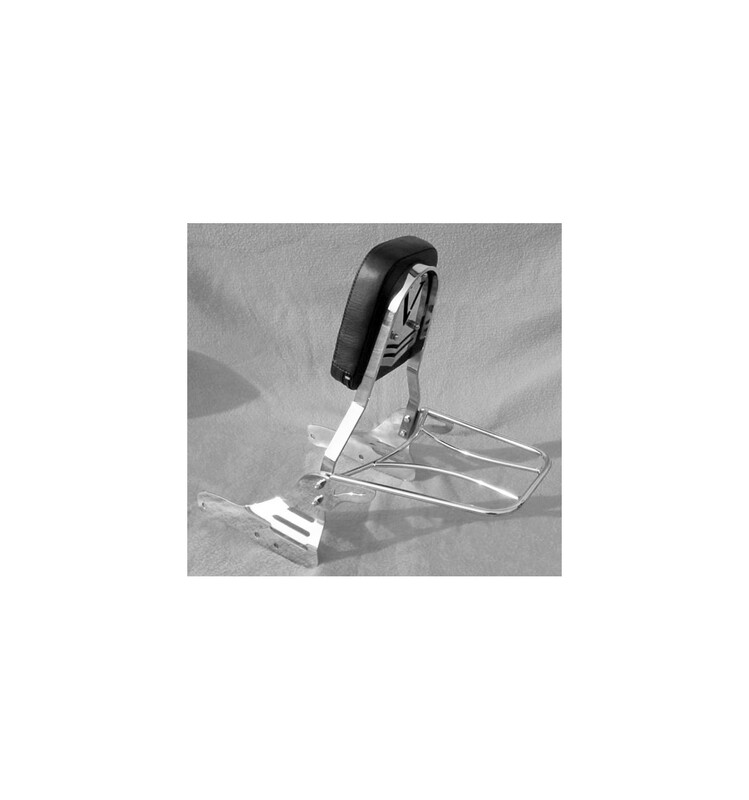 Suzuki VZ800 Marauder 97-04 sissy bar..
Chrome Cruisers passenger backrest is precision crafted from high quality stainless steel. Laser cut, precision bent and polished for a perfect fit. The stainless steel material also ensures that the backrest will never show signs of rust or corrosion (lifetime resistance to corrosion!). 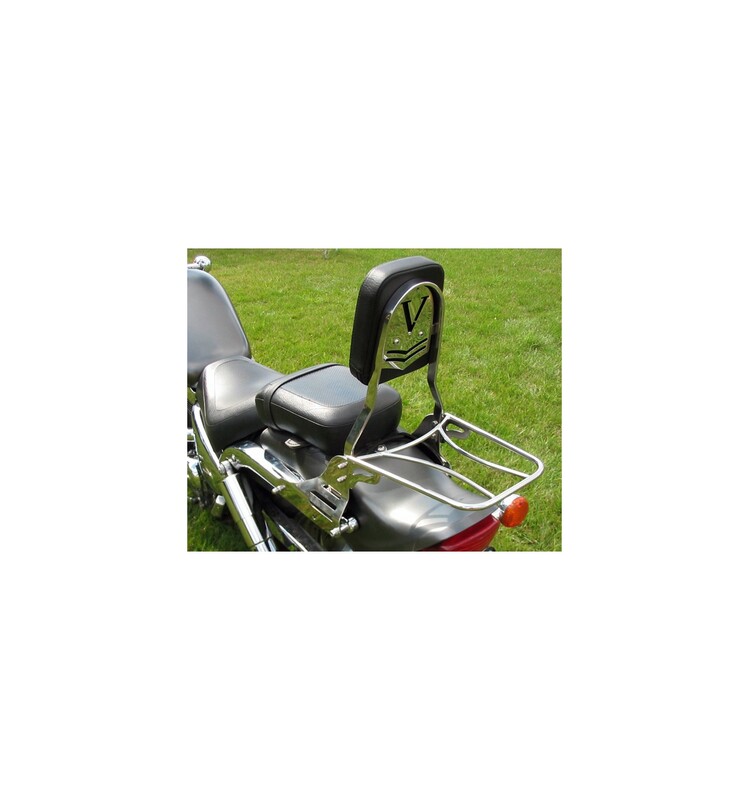 The new Chrome Cruisers Passenger Backrest can add miles of comfort to a day's travel. This is the best accessory that provides passenger's back support available on the market. Detachable Luggage Rack will also give you extra space to add a saddlebag or top case to your bike. Easy to install mounting hardware unique to your bike model guarantees a perfect fit for your ride. 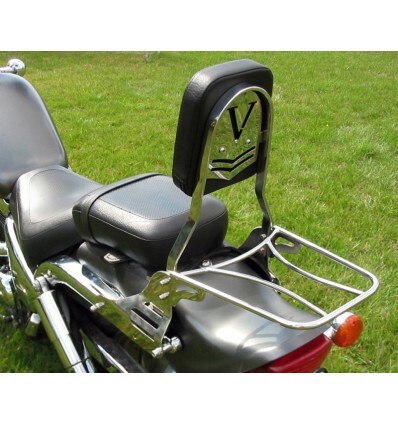 Yamaha XV535 Virago rider backrest.